To reduce bacterial count thereby providing protection against cardiac disease. If periodontal disease is recognized in its early stages, Laser therapy can be used extremely successfully for gingival pocket sterilization. This simply means that the Laser’s affinity for diseased tissue allows for vaporization of the diseased tissue and associated bacteria. The healthy tissue remains and can grow back to the tooth to provide for a manageable pocket depth with excellent dental hygiene. - Latest automated endodontic instrument (Jacklich Handpiece) for faster & efficient cleaning of root canals. - With latest monitoring and life saving equipment for patients with special care, complicated oral surgical cases and pediatric patients. 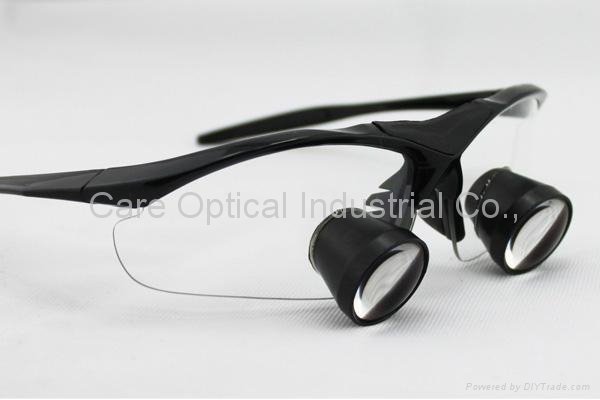 We use microscopic loupes for magnified vision in all precision dental procedures.